Escape the city for a day and discover the beauty of Hakone, a small town in the stunning Fuji-Hakone-Izu National Park that’s renowned for its hot springs and breathtaking views of Mount Fuji over Lake Ashinoko. Take the train from Tokyo with a local, and enjoy swapping bustling city life for the tranquility and natural beauty of this mountainous region. 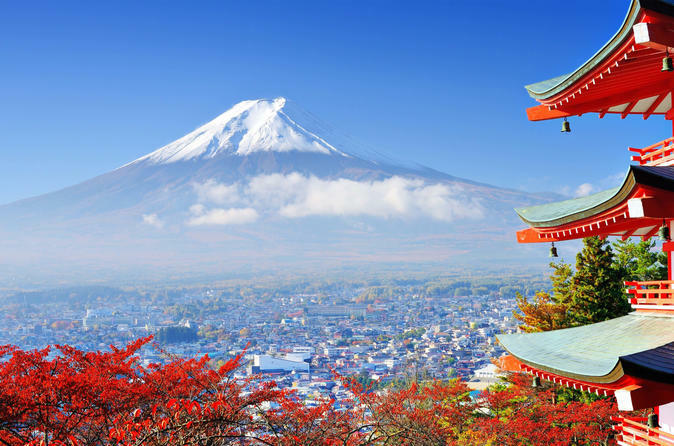 Stroll though the national park and take in the best views of Mount Fuji, see the iconic red Hakone Shrine and if you’re feeling adventurous, relax in one of the traditional onsen that the town is famed for! Join a like-minded local and swap bustling Tokyo for a day exploring stunning natural landscapes and the beauty of Hakone, a mountain town famed for its hot springs. See the most breathtaking view of Mount Fuji as well as the red torii gate, a traditional Shinto shrine, in the peaceful waters of Lake Ashi and the famous open-air sculpture museum. Explore these iconic sights, but with a local by your side you’ll also be able to get off the beaten path and discover hidden gems that you won’t find in a guidebook and eat authentic food in local eateries. Spend time getting to know your Local Host, who can give you recommendations for other places you may like to make trips to during your time in Japan, as well as more hidden gems they know you’ll love in Tokyo and the surrounding area.